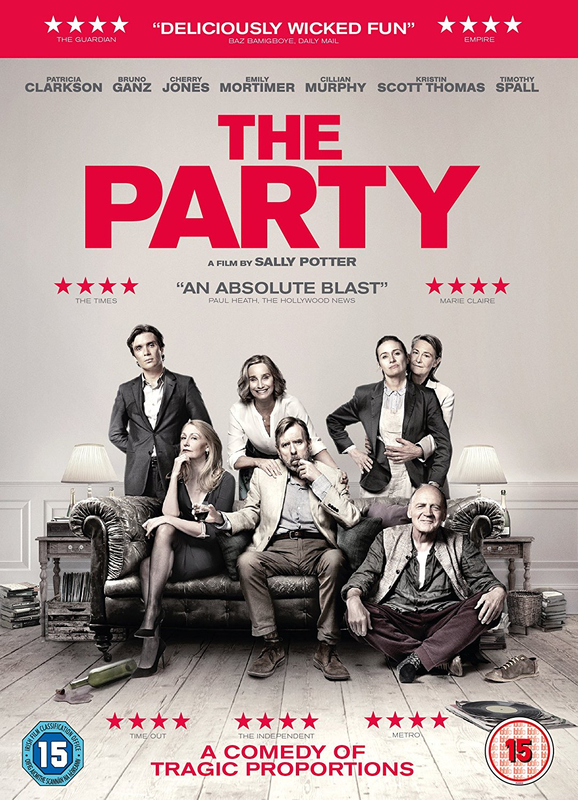 From acclaimed British filmmaker Sally Potter, this witty, sharp and very fun new comedy features a star studded cast that includes Patricia Clarkson, Bruno Ganz, Cherry Jones, Emily Mortimer, Cillian Murphy, Kristin Scott Thomas, and Timothy Spall. From acclaimed British filmmaker Sally Potter, this witty, sharp and very fun new comedy features a star studded cast that includes Patricia Clarkson, Bruno Ganz, Cherry Jones, Emily Mortimer, Cillian Murphy, Kristin Scott Thomas, and Timothy Spall. Janet (Kristin Scott Thomas) has just been appointed to a key ministerial position in the shadow cabinet the crowning achievement of her political career. She and her husband Bill (Timothy Spall) plan to celebrate this with a few close friends. As the guests arrive at their home in London the party takes an unexpected turn when Bill suddenly makes some explosive revelations that take everyone present by surprise. Love, friendships and political convictions are soon called into question in this hilarious comedy of tragic proportions. Janet (Kristin Scott Thomas) has just been appointed to a key ministerial position in the shadow cabinet the crowning achievement of her political career. She and her husband Bill (Timothy Spall) plan to celebrate this with a few close friends. As the guests arrive at their home in London the party takes an unexpected turn when Bill suddenly makes some explosive revelations that take everyone present by surprise. Love, friendships and political convictions are soon called into question in this hilarious comedy of tragic proportions.